Marvel at sweeping views over the city from atop Mt. Moiwa, at a very accessible height of 531 m (1,742 ft) one of the area's major tourist attractions. Hop aboard the ropeway at the base of the hill and ride your way up to the observation deck, transferring to the mini cable car along the way. You'll also find that the summit includes a small theater, a planetarium, and a restaurant where you can enjoy a bite to eat or a drink while soaking in those vistas stretching all the way to the Sea of Japan. Plan trip to Sapporo with our itinerary maker to find out where to go and what to do. Noon on Saturday I went. Every crowded than I thought. Day view from the top is certainly helpful, and particularly occurred impression otherwise. I thought what better can still look at the famous night view night. Loved it! It is a very romantic place for couples, they have a place to put your love lock under the bell at the summit. 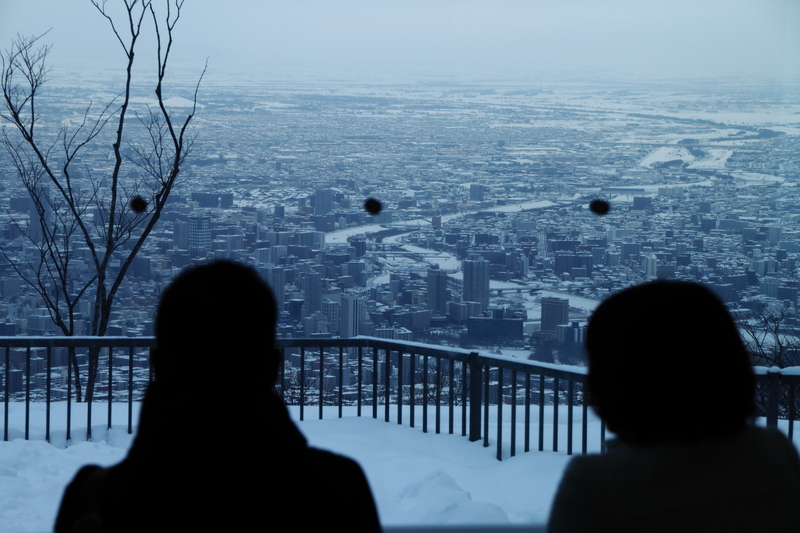 The view is simply spectacular, over viewing the whole city of sapporo on one side, and mountains on the other side. There is a small planetarium that cost 700yen for adult and theh give back 300yen voucher to spend at the gift shop. It takes two cable cars to get to the summit, and cost 1.700yen for adult. Definitely the touristy place to get a good view of Sapporo. Must come here fellow tourist! Great place! Really nice view from up there. Hiked back down through the forrest which took me around 2 hours. I can really recommend this place for its view! Every day, we help thousands of travelers plan great vacations. Here are some tips on how to use your Listing Page to attract more travelers to your business - Mt. Moiwa. Promote your permanent link - https://www.inspirock.com/japan/minami/mt-moiwa-a112195113 - on your website, your blog, and social media. When a traveler builds a plan from this page, the itinerary automatically includes Mt. Moiwa. This is a great way for travelers looking for a great vacation in your city or country to also experience Mt. Moiwa. Promoting your link also lets your audience know that you are featured on a rapidly growing travel site. In addition, the more this page is used, the more we will promote Mt. Moiwa to other Inspirock users. For best results, use the customized Trip Planning Widget for Mt. Moiwa on your website. It has all the advantages mentioned above, plus users to your site can conveniently access it directly on your site. Visitors to your site will appreciate you offering them help with planning their vacation. Setting this up takes just a few minutes - Click here for instructions.